Discrimination. An employer may not discriminate against an employee — which includes firing, rejecting for a job or promotion, and forcing to take leave — simply because he or she has a covered mental health condition or has asked for a reasonable accommodation. When an employee asks for a reasonable accommodation. After it has made a job offer, but before employment begins, as long as everyone entering the same job category is asked the same questions. When it is engaging in affirmative action for people with disabilities, in which case an employee may choose whether to respond. On the job, when there is objective evidence that an employee may be unable to do his or her job or that the employee may pose a safety risk because of the condition. To establish eligibility for benefits under other laws, such as the Family and Medical Leave Act (FMLA). If an employee informs an employer about a condition, the employer cannot discriminate against the employee, and it must keep the information confidential. “Substantially limiting” condition. A condition does not have to be permanent or severe to qualify. What matters is that the condition — when the symptoms are present — makes activities more difficult, uncomfortable, or time-consuming. Permission to work from home. The guidance notes that where an employee cannot perform all the essential functions of the job and no paid leave is available, an unpaid leave may be a reasonable accommodation if the leave will help the employee get to a point where he or she can perform those functions. Remember that an employer must provide a reasonable accommodation unless it involves substantial difficulty or expense. Harassment. The guidance reiterates that harassment based on disability is prohibited under the ADA, and that employees should follow employers’ reporting procedures to report any harassment. We suggest that you review the guidance and make sure that your current policies and practices comply. Yesterday, the Supreme Court handed down its decision in EEOC v. Abercrombie & Fitch Stores, Inc., ruling in favor of a Muslim woman who claimed that she was denied employment at an Abercrombie & Fitch (A&F) store because she wore a headscarf. With this decision, the Supreme Court sent a clear message: an employer may not make a hiring decision based on an applicant’s need for a religious accommodation, regardless of whether the employer had actual knowledge of such a need. Samantha Elauf (Elauf) is a practicing Muslim who wears a headscarf for religious reasons. Elauf claims that she applied for a job at an A&F store and that, although she was otherwise qualified to be hired, she was ultimately denied employment because her headscarf would violate A&F’s “Look Policy.” The Look Policy prohibits “caps” because they are too informal for A&F’s desired image. Elauf never identified her headscarf as religious to anyone at A&F, nor did she ever communicate a need for any religious accommodation. The EEOC sued A&F on Elauf’s behalf, claiming that A&F’s refusal to hire her violated Title VII. In response, A&F argued that it could not be found to have discriminated against Elauf by failing to priovide a religious accommodation unless it had “actual knowledge” of Elauf’s need for a religious accommodation. The district court disagreed with A&F’s argument and held in favor of Elauf the EEOC. However, the Tenth Circuit reversed, agreeing with the “actual knowledge” standard put forth by A&F. 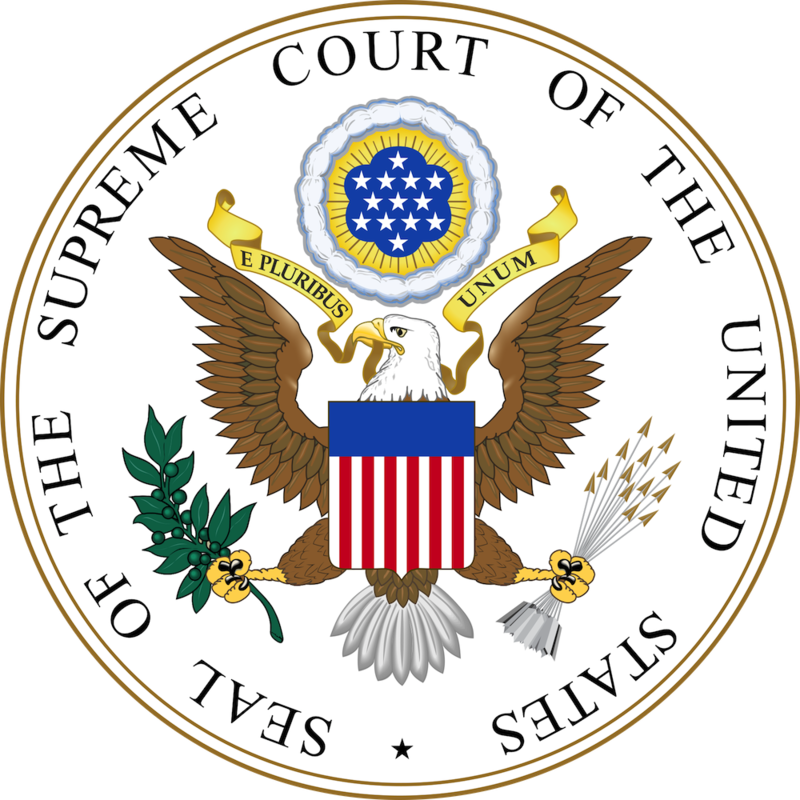 The Supreme Court reversed the Tenth Circuit and remanded the case for further consideration, holding that, under Title VII, an applicant only needs to show that her need for an accommodation was a “motivating factor” in the employer’s decision — she need not show that the employer had actual knowledge of the need for an accommodation. In other words, an “employer may not make an applicant’s religious practice, confirmed or otherwise, a factor in employment decisions” [emphasis added]. The Court gave as an example a situation where an employer thinks (but doesn’t know for sure) that a job applicant may be an orthodox Jew who will observe the Sabbath and thus unable to work on Saturdays. If the applicant actually does require accommodation of that religious practice and the employer’s wish to avoid the accommodation is a motivating factor in its decision to not hire the applicant, the employer violates Title VII. The Court was clear in its decision that its ruling only applies to accommodation under Title VII, and not to accommodation under the Americans with Disabilities Act (ADA), which follows a different framework. The take away here? Employers need to avoid basing employment decisions on any protected characteristic — whether confirmed or suspected. Although this case centered on a hiring decision and the anticipated need for an accommodation, it should apply equally to other terms and conditions of employment. We recommend that managers, supervisors and those involved in the hiring process be trained on the legal requirements surrounding equal employment opportunity and on how to appropriately respond to requests for — or other information suggesting that there is a need for — an accommodation.